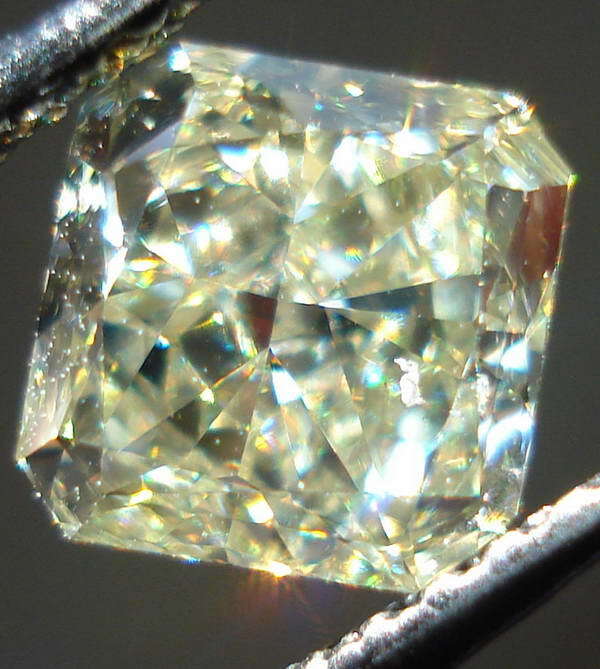 Here's a Natural Light Lemon Yellow Radiant Diamond. I liked it when I opened the paper and picked it up with the tweezers. It has a really nice light yellow color. In terms of cut- it has a lovely sparkle- with some larger flashes of light as well- interesting. Upon closer examination, I find that the facets are not symmetrical. 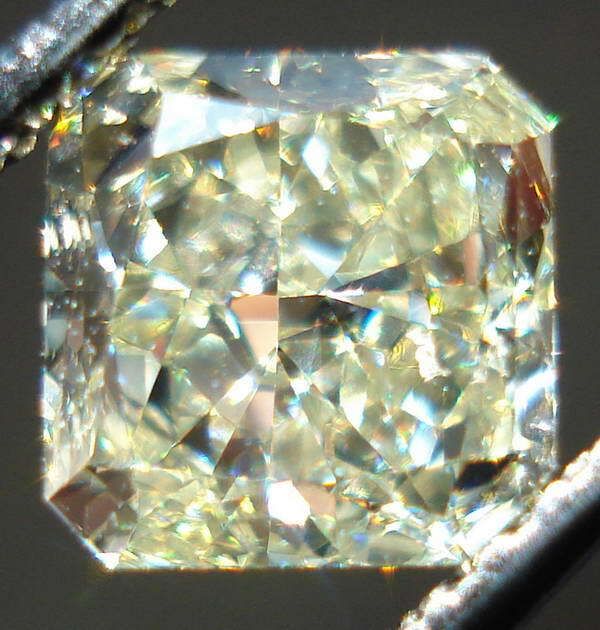 The outline of the stone itself is straight- bit within those confines facets are placed off center. The left side does not have the same facet pattern as the right side. 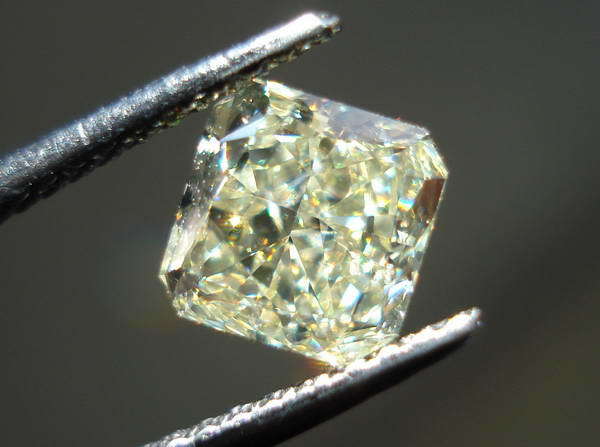 Actually very little when viewing the diamond without the loupe. 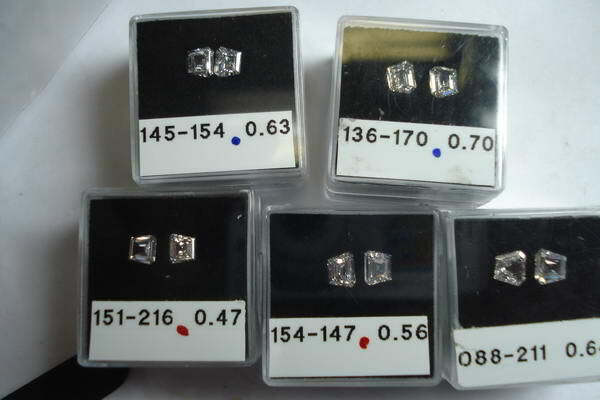 The sparkle is great, and the surface area looks bigger than 1.00carats. 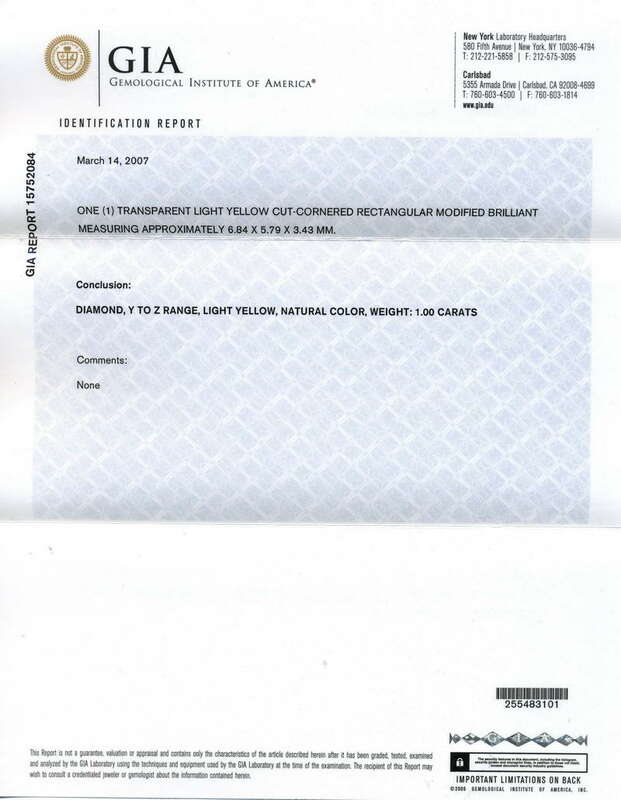 Oh, the other "ramification" is that the diamond is priced at a nice amount less than a similar color GIA graded Radiant with a full GIA report and "Good" ( or better) symmetry. 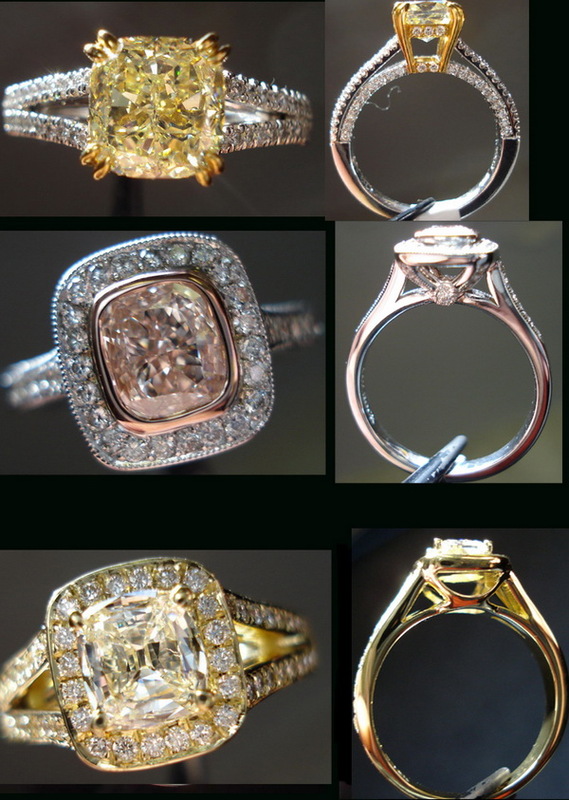 It will look great in a ring. 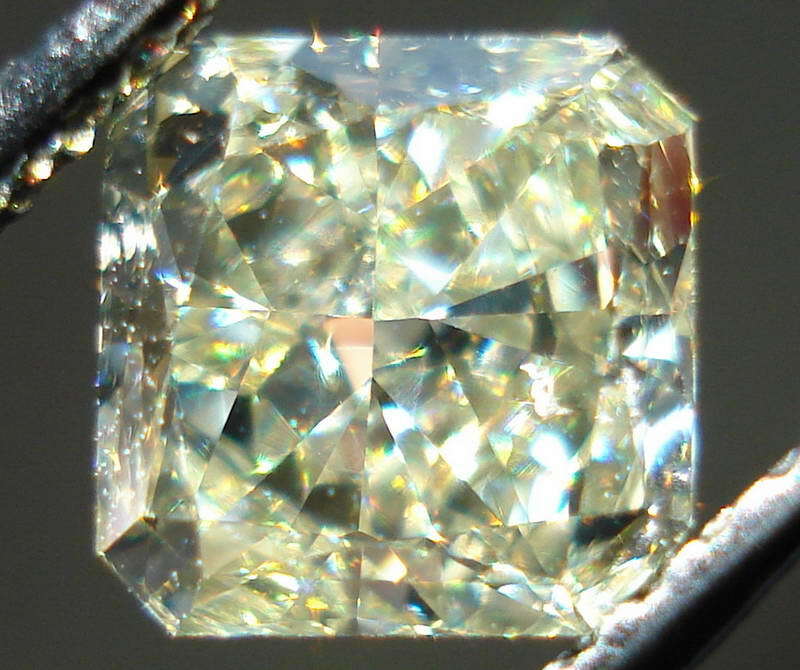 In some of the photos, you can see the slight feather which caused us to grade the diamond SI1. The sharpest eyed person might- just might be able to pick it out- but most people would not.